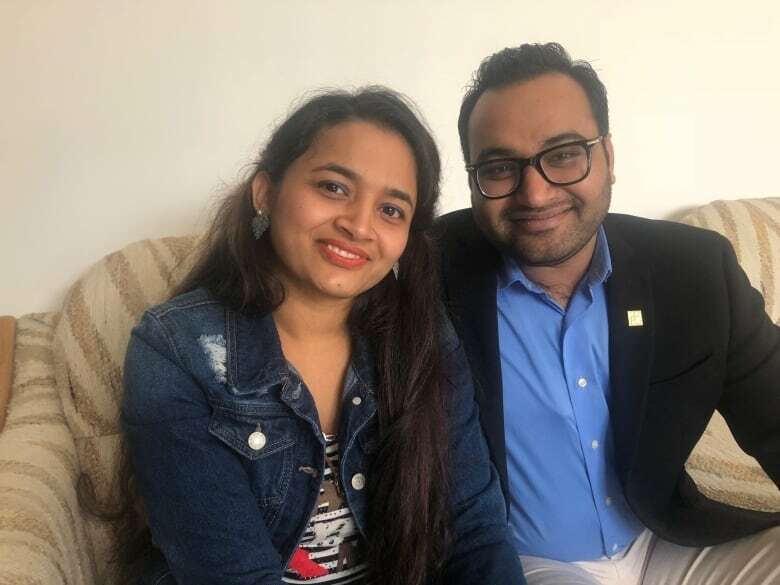 Sitting in their downtown Regina apartment more than three years after their wedding, the couple recalled their first meeting at Rushita's house in India. Sandip was talking with Rushita's dad and grandfather when she came in with a glass of water for him. "I looked up and looked at her and I felt: she is the one I want to marry," Sandip said. "I talked to her for 15 to 20 minutes and then I felt comfortable; I felt connected to her; I felt that she is the one I want to spend my life with." Rushita felt the same butterflies. "There was like the first click in my heart and in my mind, too, so I kind of knew at that time that he is the right choice for me." Sandip grew up in a small village in India but moved to Canada in 2011 to further his studies. He got his permanent residency in 2013. That same year, he went home to visit his parents. The then-26-year-old wasn't sure if he was ready to get married but wanted to make his parents happy. In India, marriages are usually divided into two categories: arranged marriages or love marriages. With arranged marriages, parents usually introduce their son or daughter to prospective mates. The children decide whether they want to get married after meeting. Love marriages, where individuals pick their own partner as is custom in the West, are becoming more popular. Sandip said his parents were open to both options, but he didn't have an interest in finding a partner on his own. He said his father "spread the word saying, 'Hey, Sandip is ready to get married so if you have anyone in mind let me know.'" Through family friends, Sandip met two women, but didn't feel a spark. He said he had trouble even speaking to them. With Rushita, it was different. "When I met her I knew that, OK she is the one and she makes me comfortable. So I know that my life will be more comfortable and happily ever after," Sandip said. Sandip was the 15th man Rushita met after telling her parents she wanted to get married. The pair were engaged in January 2014 — two months after their first meeting. They had less than a month to spend together before Sandip returned to Regina for work, but they made the most of that time by going on adventures as a couple. The couple was married in India exactly one year after their engagement. Saunia Ahmad, a clinical psychologist, couple's counsellor and researcher in Toronto, said arranged marriage has evolved. While her parents met on their wedding day, most couples now meet through their families and court for a while before deciding if they want to proceed or be introduced to someone else. Despite the changes, she said familial pressure is still present for young people with South Asian parents. "Often I think it comes down to finding a partner the parents accept and feel satisfied with and if that's not the case … I know a lot of couples who don't proceed with marrying someone they met because their parents wouldn't approve," said Ahmad. 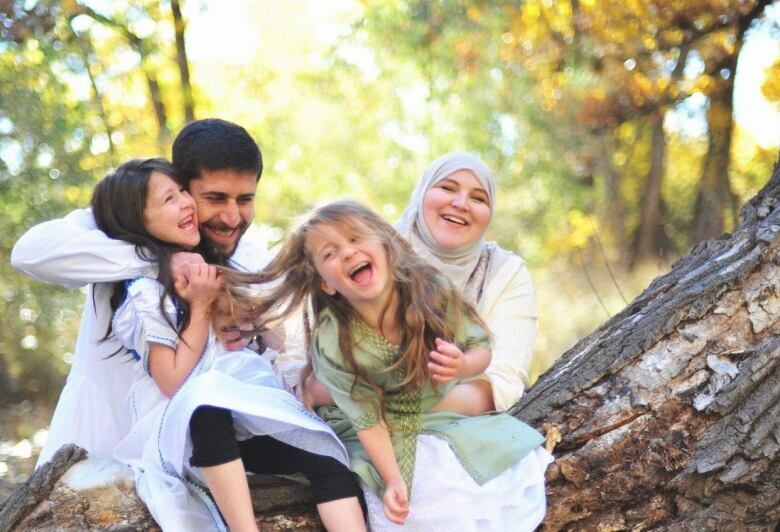 Ahmad has counselled couples from both arranged and love marriages. She said living with a spouse you don't know well can come with surprises and challenges, but she has found that love often grows with time. "Generally speaking, I find that both types of arrangements can be equally successful and equally also have issues as well," she said. Ahmad said families will usually consider personal traits, occupation, education and hobbies before making an introduction. Khadija Chudnoff, the lead matchmaker with Beyond Chai, has made a career out of that. The online platform was created for Muslim people looking to get married. Those who sign up for Beyond Chai get a personal matchmaker. They can also work with a relationship coach to set goals, and an image consultant for appearance and etiquette. Religious leaders also weigh in, if requested. "Muslims in the U.S. and Canada are a relatively small group of people. Sometimes it's hard to find somebody in your direct community," said Chudnoff. "So with technology we're able to go outside your geographic community and search for somebody in a larger sphere." Chudnoff said Muslim women were the original Tinder — and some of those matchmaking mentalities remain. "There are little aunties all over with spreadsheet after spreadsheet of people's information connecting people all over the world, so they're the real trailblazers," she said. Chudnoff was basically her own matchmaker although she refers to her marriage as arranged. She decided she wanted to find a husband when she turned 18. Soon afterward, she met a nice man in Quran class and told her brother that if he had a son, she would marry him. Her next step was to befriend the man's daughters. The two families met for breakfast, but the man of her dreams was shy. "We talked but he didn't look at me," Chudnoff said. "After the breakfast, the dad was just like, 'So do you want to marry Khadija? And he was like, 'Yes.'" The couple just celebrated their tenth anniversary and has two daughters. Over the year it took Rushita to gain permanent residency status in Canada, she exceeded Sandip's expectations by moving in with his parents to help care for them. Sandip said that sacrifice was monumentous for him. Not only did she get up at 4:30 a.m. for a year to look after his parents, she had agreed to move to another country so far from her own. "She won that place in my heart. I will never, ever forget that," Sandip said. The couple spoke every day, separated by an ocean. "That was the hardest part of my life, because it was a year. All relatives, my parents were there to support me, but it's still hard — the life without your husband, the person that you love most," Rushita said. "After I'd been waiting so long, I came here and it was the happiest moment of my life." Sandip said he feels proud to tell people in Canada he had an arranged marriage. His wife agrees. They said the reactions are overwhelmingly positive, albeit inquisitive. "In an arranged marriage, every day you learn something new about your wife; you have a new reason to love her more," said Sandip. "That's why I wanted to do the arranged marriage and I did it and I'm happy. I've never regretted it."